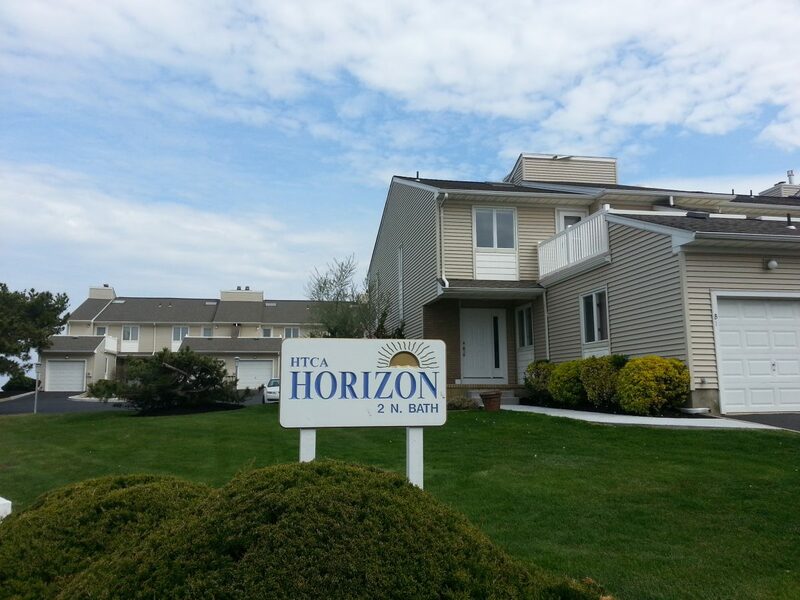 Horizon House is a pet-friendly community of 24 townhouse style condominiums, 11 of which face directly on the ocean, located at 2 N. Bath Avenue at the intersection of Ocean Boulevard along the Long Branch beachfront. Built in the early 1980's, each townhouse was built with two bedrooms, 2.5 baths, a full basement and a one car garage. Tax records indicate each townhouse has 1784 square feet, which doesn't include the basement. The location is ideal, being about a half mile from Pier Village and the Long Branch train station.